Dr. Adewale Adesoji Adeeyo, OON was born on the 27th of August, 1949. He is an experienced publisher and communication expert, with over forty years of professional experience in journalism, public policy and entrepreneurship. He is the Publisher of the Anchor Newspaper and Surulere Now Magazine. Architect Ahmed Musa Dangiwa is a consummate, fascinating, inspirational, innovative and resilient architect with over 30 years of Real Estate, Infrastructure Development, Banking and Management experience spanning private and public practices as well as in academia. Over the last 25 years, Mr Ebo has built a successful career, with diverse involvements in the fields of Banking and Finance, Human Resource Management, Corporate Communications and Strategic planning. Hajia Rahimatu Aminu-Aliyu is a versatile Legal practitioner with specialty in Finance, Property and International Law. She is an articulate and persuasive negotiator with track record of resolving complex disputes and securing long term funding. Her career goal is to ensure that development is inclusive and sustainable. Alhaji Dankane Umar Abdullahi is a financial and general management expert with over two decades of cognate experience. He obtained his Bachelors and Masters Degrees from Usman Danfodio University, Sokoto. Architect (Mrs) Eucharia Onimisi Alozie Mnia Mnitp Mnim is a renowned architect and town planner with over thirty years of professional experience in the public and private sectors. Presently, she is the head of the Public Private Partnership for Housing & Works in Federal Ministry of Power, Works & Housing Abuja. Hon. Aji Kolo Ali Gujja was born in the city of Bama, Bama Local Government Area of Borno State on 23rd February, 1967. He attended Kasugal Primary School, Bama from 1977 -1983. After his primary school education, he proceeded to Government Secondary School, Kumshe, Bama Local Government from 1983 – 1988, from where he secured admission into Borno College of Legal and Islamic Studies and obtained a Diploma in Civil Law in 1990. Mr. Adedeji Jones Adesemoye, An access to sustainable development specialist and subject matter expert (SME) in housing finance, development banking and supervision of other financial institutions. As an astute regulator and Certified Bank Examiners for close to 30 years, he is endowed with rich experiences spanning development finance, microfinance banking, specialize banking regulation and supervision, process automation and multi -sector program management. Mr. Dachi Augustine Ladajau was born on May 5, 1962 in Kwang District, Quaanpan Local Governemt Area of Plateau State. He attended his primary education at St John Catholic School, Kwang, and completed his secondary school education at the Government College Pankshin in 1979. Dr. Adewale Adeeyo is an alumnus of the State University of New York, United States, where he obtained a Bachelor of Arts in Sociology and Political Science in 1975 and a Master of Arts degree (M. A) in International Relations and Public Administration in 1976 from the same Institution. He was honoured with a Doctorate Degree (DSc. Honoris Causa) in Mass Communication and Publishing by Adeleke University, Osun State in 2016. Following his graduation, Dr. Adeeyo began his career as a Public Affairs representative at Ciba-Geigy Corporation, USA, before returning to Nigeria in 1979, where he worked with the Nigerian National Petroleum Corporation (NNPC) between 1979 and 1981 as a Senior Public Affairs Officer. He then ventured into entrepreneurship and founded Vintage Enterprises Limited in 1982, where he remains the Managing Director. In 1992, Dr. Adeeyo was appointed a Director of Wema Bank Plc, a position he held for 4 years till 1996, during which he was instrumental to the impressive growth of the Wema Bank brand and unrivalled innovation in service delivery. In addition to being the publisher/Chairman of the Anchor Newspapers, Dr. Adeeyo is a member, Governing Council of Adeleke University, Ede, Osun State, where he was the Commencement Speaker at the 2015 Graduation ceremony of the University. He is also the Chairman of Skyrun Cocoa Products Industry Limited. 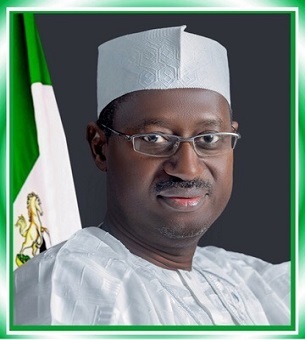 In 2001, the Federal Government of Nigeria conferred on Dr. Adeeyo, the highly esteemed honour of the Officer of the Order of the Niger (OON), a deserving title when he set up The Anchor Newspaper, which at the time employed the latest technology and over 200 graduates to produce a worthy Nigerian newspaper and The Balance, his motivational speaking outfit that was acknowledged as a major influence on the Nigerian moral landscape. With this wealth of experience, the Federal Government deemed him worthy of an appointment as the Chairman, Board of Directors, of Federal Mortgage Bank of Nigeria in February, 2018. Dr. Adeeyo is happily married and has interest in reading, writing, music and travelling. Prior to his appointment as the Managing Director/Chief Executive officer of the Federal Mortgage Bank of Nigeria, Arc. Dangiwa held sway as the Managing Partner of AM Design Consults since 1996, an architectural and real estate development consultancy firm, and Jarlo International Nig. Ltd, a Construction Company, where he supervised the delivery of several outstanding projects in diverse areas and sectors across the country, mainly in real estate development. Arc. Dangiwa excelled as a mortgage finance practitioner, rising through the ranks in Sahel Mortgage Finance Limited from a Property Manager to Head of Credit Control to becoming the Manager, Mortgage Banking Division. In this capacity, he was involved in the design and delivery of wide variety of mortgage products and real estate projects, especially social mass housing. Mr. Dangiwa is a professional architect, a member of the Nigerian Institute of Architects (mnia), a Fellow of the Institute of Corporate Executives of Nigeria (ficen) and an Associate Member of American Institute of Architects (aaia). He is also a member of other professional bodies such as: a Senior Associate Member of Risk Managers Association of Nigeria (riman); a Fellow of both the Institute of Credit Administration (ICA) and Institute of Strategic Customer Service & Trade Management (ICSTM); an Honorary Fellow of Chartered Institute of Loan & Risk Management of Nigeria (CILRM) and an Honorary Senior Member of the Chartered Institute of Bankers of Nigeria (CIBN). He holds an MSc. (Arc) and MBA both from Ahmadu Bello University, Zaria in addition to a Bachelor’s Honours degree in Architecture from the same Institution. He is an alumnus of the prestigious Wharton University Pennsylvania and has attended numerous training courses (local and international) on Housing Finance, Computer Aided Designs, Design and Build Workshops and Project Management, as well as several other professional and leadership training programmes. Arc. Dangiwa loves traveling, intellectual engagements and photography. He is happily married with children. Over the last 25 years, Mr. Ebo has built a successful career, with diverse involvements in the fields of Banking and Finance, Human Resource Management, Corporate Communications and Strategic planning. Mr. Ebo is a skilled negotiator and influencer, with working experience of the corporate world; he began his career at the United Bank of Africa over 3 decades ago, where he helped implement innovative Human Recourses programs and recruitment policies during his time with the Bank as first an employee and later a consultant to the Bank. He also has experiences in civil society and social housing provision across an international arena, he acted as a consultant to the Nationwide Housing Association, United Kingdom between 1996 and 1998 where he was involved in the provision of social housing to African refugees. He has served at National level in various capacities, including as a Member of the Board of the National Primary Healthcare Development Agency (NPHCDA) and as a Resource Person (on non-academic projects) to the University of Nigeria, Nsukka, between 2009 and 2014. He brings his ability to embrace innovation and his creativity to the Board of the Federal Mortgage Bank of Nigeria, which he had successfully deployed in various projects and businesses he has established such as Seventhoption Ltd; a multi-profile company with operational interests in Corporate Communications, Community Relations, Conflict Resolution, and Crises Management, where he was Chairman and Chief Operating Officer, a role he held from 2005 to 2017, prior to his appointment as the Executive Director, Finance & Corporate Services of the Federal Mortgage Bank of Nigeria. Mr. Ebo is a fellow of the Nigerian Institute of Management, and holds a BSc (Political Science) degree from the University of Nigeria, Nsukka where he graduated in 1979, prior to which he attended St. Gregory’s College Lagos. He is married with children, and is an artist and keen collector of paintings and object d’arts. Rahimatu Aminu-Aliyu holds a Bachelor of Law Degree (LLB) from the University of Maiduguri, a graduate of the Nigerian Law School (BL) and an LL.M in International Law. She has attended professional development courses and seminars within and outside Nigeria and is a co-author of a book titled: "Situating Alternative Dispute Resolution (ADR) in political sphere: Thoughts on mechanism for pre-election political dispute resolution in Nigeria"
Before her appointment as an Executive Director in Federal Mortgage Bank of Nigeria, Rahimatu Aminu-Aliyu worked with Independent National Electoral Commission (INEC) providing legal advice, defending the Commission on constitution and electoral matters at the Federal High Court, Court of appeal and the Supreme Court, as well as election petition tribunals, giving legal requirement for creating electoral districts and voting eligibility, and formulating policy and law on how to improve electoral governance and participation in Nigeria. Prior to his appointment as an Executive Director with Federal Mortgage Bank of Nigeria, he had held the positions of Chief Accountant, Principal Accountant and Project Accountant under the Kebbi State Government and the State’s World Bank-Assisted Project respectively. Apart from being a business administrator and financial manager by training, Alh. Dankane is also a politician of high repute and enjoys a large political followership in Kebbi State, having contested elections to the State and National House of Assemblies at various times. He has also served as Acting Chairman of the Congress for Political Change (CPC) in Kebbi State and Desk Officer, Buhari/Osinbanjo Presidential Campaign Council in 2015. Alhaji Dankane is a dynamic team player and change agent with a strong desire to always combine his professional and political experience towards improving efficiency in public service. Alhaji Dankane Umar Abdullahi is a widely-travelled person with interest in Football, Volleyball and Tennis. He is a member of the Institute of Certified Public Accountants of Nigeria and an Associate Member of Nigeria Institute of Management. He has undergone numerous Management training programmes both within and outside Nigeria. He is happily married with children. Architect (Mrs) Eucharia Onimisi Alozie is an alumna of Ahmadu Bello University (ABU) Zaria where she obtained BSc. Architecture, MSc Architecture and MSc. Urban and Regional Planning. She is a certified Public Private Partnership Specialist by the famous Institute for Public Private Partnership (IP3), Washington DC, USA. She began her career in 1982 as a lecturer in the Department of Architecture, University of Jos, after which she ventured into the private sector where she was the Principal Consultant to Deakitex & Partners; a firm of architects and urban and regional planners based in Abuja and Jos, who have consulted to several national and international organisations and institutions. In 1992, Architect (Mrs.) Alozie joined the Civil Service as Senior Town Planning Officer in the Federal Ministry of Housing and Urban Development where she rose through the ranks to become a Deputy Director, URD & PPP in the Ministry from 2011 till date. She became the Head, PPP (Housing) in 2014 and in 2016 her responsibility was expanded to include Head, PPP (Works). In the course of her career, she has coordinated, planned, designed and implemented several Federal Government housing & works programmes nationwide. She has also headed and served in various sensitive committees in the Ministry. With this wealth of experience, the Federal Government deemed it appropriate to appoint her as a Director, Federal Mortgage Bank of Nigeria in August, 2014. As a result of her valuable contributions to the deliberations of the Board, she was re-appointed to the Board in February, 2018 when it was re-constituted. She is a member of numerous professional bodies which include the Nigerian Institute of Architects (NIA), Architects Registration Council of Nigeria (ARCN), Nigerian Institute of Town Planners (NITP), Town Planners Registration Council of Nigeria (TPRCN) and Nigerian Institute of Management (NIM). She has equally participated in various international and local courses, seminars and workshops, and has delivered lectures and papers at several seminars and workshops on behalf of the Federal Ministry. He attended Kasugal Primary School, Bama from 1977 -1983. After his primary school education, he proceeded to Government Secondary School, Kumshe, Bama Local Government from 1983 – 1988, from where he secured admission into Borno College of Legal and Islamic Studies and obtained a Diploma in Civil Law in 1990. Hon. Aji Kolo Ali Gujja was born in the city of Bama, Bama Local Government Area of Borno State on 23rd February, 1967. Hon. Aji Kolo was appointed Transport Officer representing Borno Truck Owners Association with the African Petroleum Depot in Apapa, Lagos State in 1991. In 1997, Hon. Kolo ventured into politics and contested for the position of councillor under the non-party system and won the councillorship chair of Kasugula Ward, Bama Local Government Area of Borno State. In 1997, he obtained an Advanced Diploma in Public Administration from the University of Maiduguri, Borno State and BSc. Sociology and Anthropology from the same university in 2014. In 2004, Hon. Kolo was appointed Vice Chairman Bama Local Government Council, and later became the Acting Chairman, a position he held sway till 2006. Soon after the expiration of his tenure, he ventured into private business and formed Wonderbox International Company, which he presides as the Managing Director/CEO. Hon. Kolo was then appointed by the Executive Governor of Borno State, Hon. Kashim Shettima as his Senior Special Assistant on Special Services in 2011, a position he holds to date. On February 28th 2018, the President and Commander- in Chief of the Armed forces of the Federal Republic of Nigeria, President Muhammadu Buhari GCFR, appointed Hon. Kolo as a Non- Executive Director of Federal Mortgage Bank of Nigeria. Hon. Kolo has attended training programmes and seminars within and outside Nigeria and is happily married with children. Mr. Adedeji Jones Adesemoye, An access to sustainable development specialist and subject matter expert (SME) in housing finance, development banking and supervision of other financial institutions. As an astute regulator and Certified Bank Examiners for close to 30 years, he is endowed with rich experiences spanning development finance, microfinance banking, specialize banking regulation and supervision, process automation and multi -sector program management. He trained as Examiner in Charge of Banks and Other Financial Institutions (OFIs) in both Nigeria and FDIC Corporate University, Virginia, USA. He is currently a serving member of the Board of Directors of the Federal Mortgage Bank of Nigeria (FMBN) and member of Presidential Technical Committee on Lands reform representing the Central Bank of Nigeria (CBN), while in the service of the CBN as Deputy Director, in Abuja, Nigeria. At the CBN, he heads group responsible for OFIs Surveillance, Analytics and Special examinations. He recently implemented multi components Nigeria Housing Finance Program (NHFP), a World Bank supported project that birthed Nigeria Mortgage Refinance Company (NMRC), Nigeria Mortgage Guarantee Company (NMGC) and pilot Housing Microfinance products backed with strong home ownership advocacy and ecosystem de-risking process across Nigeria. Prior, Adedeji J. Adesemoye, was key the CBN expert on Rural Finance Institutions building project (RUFIN/IFAD) supervisory support component to Microfinance bank industry in the Other Financial Institutions Supervision Department (OFISD) of the Central Bank of Nigeria (CBN). As process automation specialist, Mr Adesemoye deployed USAID supported Financial Analysis (FinA) off site surveillance project to OFIs, now in use for Nigeria Banking Industry and Financial Institutions Applications Processing Systems (FIAPS) to engineer workflow process efficiency and paper less environment for the CBN and its customers. He initiated a Uniform core and agent banking application (NAMBUIT) project for Microfinance banks industry and currently implementing policy impact tracking tools utilizing Artificial Intelligence for the CBN. Adesemoye hold Master's degree in Banking and Finance for Development in Milan, Italy in 1998 with an International scholarship and had earlier obtained first degree in 1984 at University of Ife, Ile –Ife, Nigeria, prior to joining the CBN in 1989. He is currently researching into areas of Corporate Ethics and Financial Sector Governance under the International PhD program of the University of Frankfurt, Germany. During the course of his career, he had had an extensive executive training at Wharton International housing finance training at the University of Pennsylvania, Philadelphia in USA, University of Lancaster in UK and Frankfurt Business School, in Germany amongst several others including study tours and professional attachments in international financial institutions and program in a multicultural environment. He obtained a diploma in Accounting from the Ahmedu Bello University, Zaria, in 1982 and worked as a Trainee Accountant with the Plateau State Ministry of Finance, Jos. He went back to the Ahmadu Bello University, Zaria in 1984 and obtained a Bachelors of Science degree in Accoouting in 1987. He joined the Central Bank of Nigeria (CBN) in October, 1990 as a Senior Supervisor 1. He obtained his Masters degree in Accounting & Finance from the Ahmadu Bello University in 1997. He holds a diploma in microfinancing from the Manila University, Philippine. His working career with the CBN started with the Operations Directorate at the Benin Branch of the Bank for seven years. He also served at the Corporate Services Directorate of the Bank (Learning Centre, Lagos) for five years; and moved to the Financial System Stability Directorate (OFI Supervision Department) responsible for the regulation and supervision of Banks and Other Financial Institutions from 2001 to date. 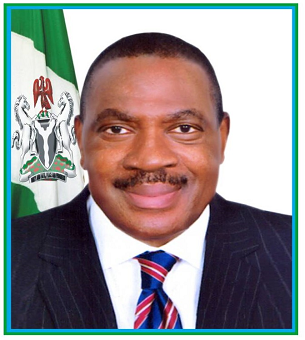 During his career at the CBN, he attended various training courses both local and overseas; including Bank examiners level courses (Nigeria), Examination Management Course (Corporate University, U.S.A.); Capacity Building for Bank Examiners (U.K.); Banking Financial Stability (U.K.); Macro prudential Surveillance (Nigeria); Credit Bureaux regulation and supervision (Malaysia); Sustainable Microenterprise Development Programme (Tanzania); Agricultural Value Chain Finance (Kenya); Risk management supervision (Nigeria); etc. Mr Ladajau is Scholar-practitioner; positive social change agent; and currently a Deputy Director at the CBN, representing the interest of the CBN at the Board of the Federal Mortgage Bank of Nigeria with effect from October, 2018.